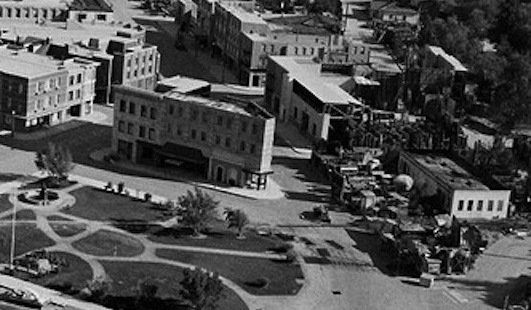 This small building formerly on the backlot was in existence until the 1960s. 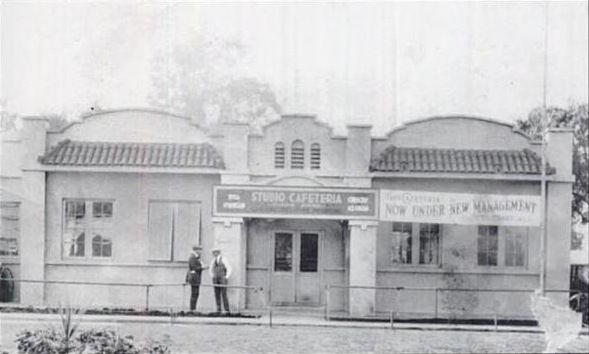 From 1914, it was the Staff Cafe on Laemmle Blvd. 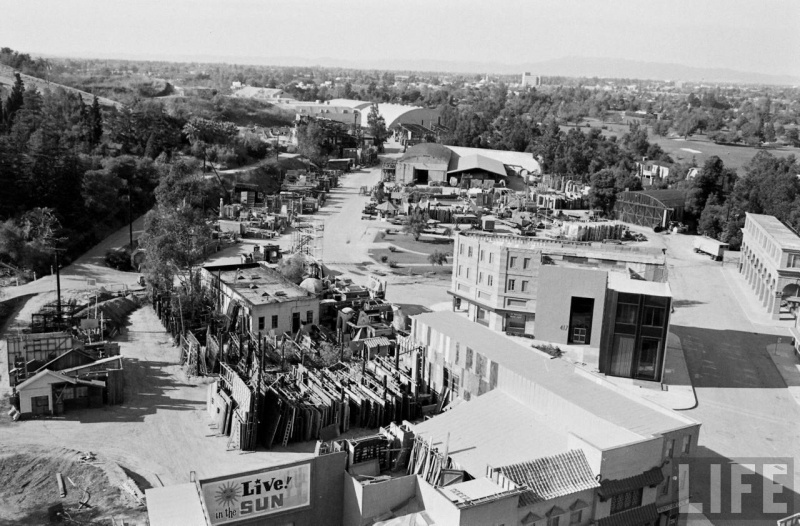 As Universal City expanded, the building became just another storage area on the backlot. 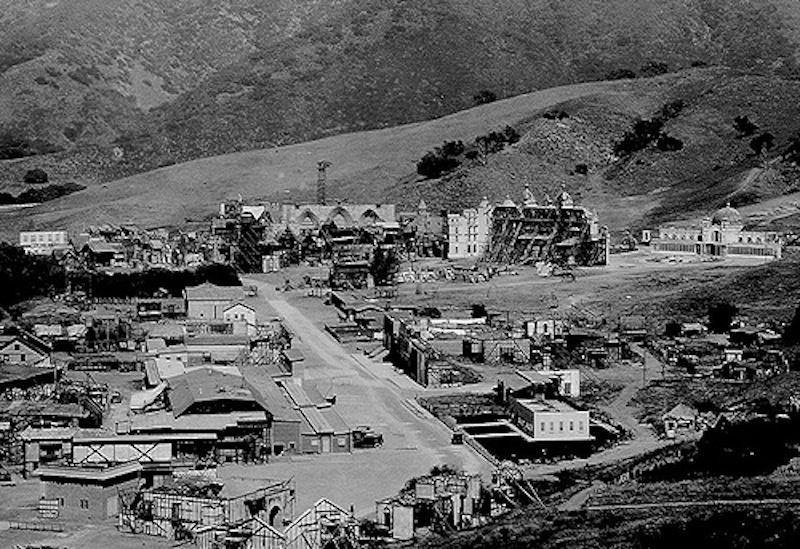 The photo below shows the Staff Cafe (bottom right) as it was in the 1960s, in this photo of Kramer Park. 3 - This 1962 photo from Life magazine shows the Staff Cafe in the foreground surrounded by stock flats. 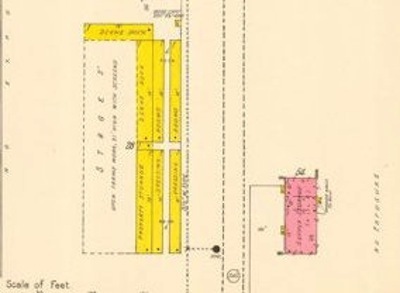 The Kramer Park area is top right of the photo.